Happy Friday! I hope everyone has had a great week. We just finished up our first full week back to school here and so far, so good! This week Holly is our hostess at The Friday Mashup and she has a technique for us to try out called the Bokeh Technique. If you are familiar with photography then you may know a bit about this look already....it's the aesthetic quality produced in the out of focus parts of an image produced by a lens. At Christmas you can see a lot of photos that use the Bokeh technique! I wont lie, this was a hard one for me. I watched the video that Holly provided for us and my watercolor background looked like junk and I finally gave up after about 5 attempts at it. I decided to go another route by grabbing some Night of Navy cardstock and stamping various circles on it with White Craft Ink and also silver metallic ink. That seemed to give it the dimension that mimics bokeh. Holly also wanted us to use die cuts on our project so I used the Festive Flurry Framelits to cut out some snowflakes in Night of Navy and Silver Glimmer paper. The sentiment is from the Holiday Home set and I used the Bitty Banner Framelits to cut it out. 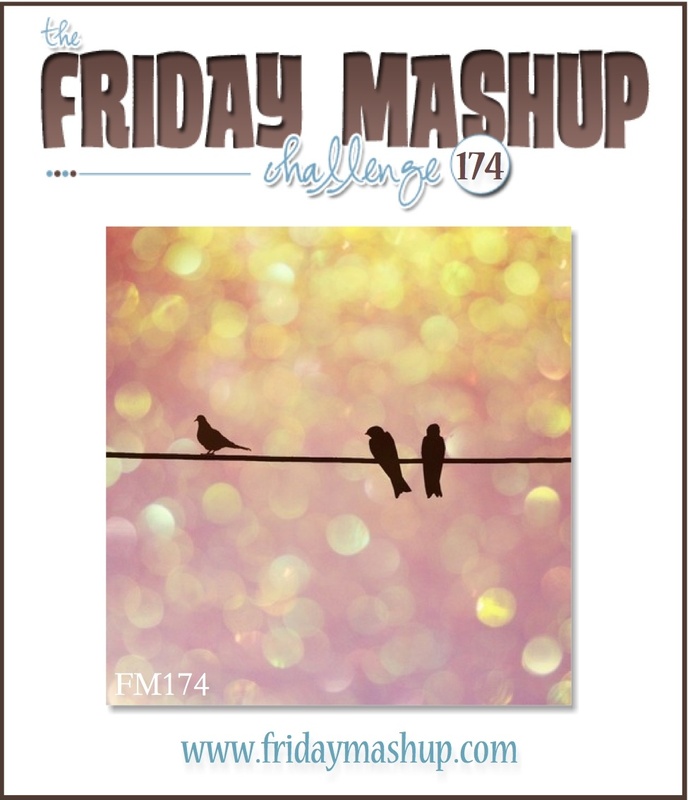 Make sure you head over to The Friday Mashup blog and check out the awesome projects from the DT team, the other ladies really nailed the Bokeh technique! Create a project with the "Bokeh Technique". Link to technique here. Create a project with "Die Cuts". or Mash it Up! and create a "Bokeh project using a Die Cut".